Grandpa Lucas is one of my favorite people in the whole world. When I was a little kid, I always looked forward to making pancakes with Grandpa, especially on a Saturday night when we would have breakfast for dinner. A chemist by training and an educator at heart, Grandpa would draw the chemical structure of baking powder on a napkin and explain why adding this to the pancakes made them fluffy. 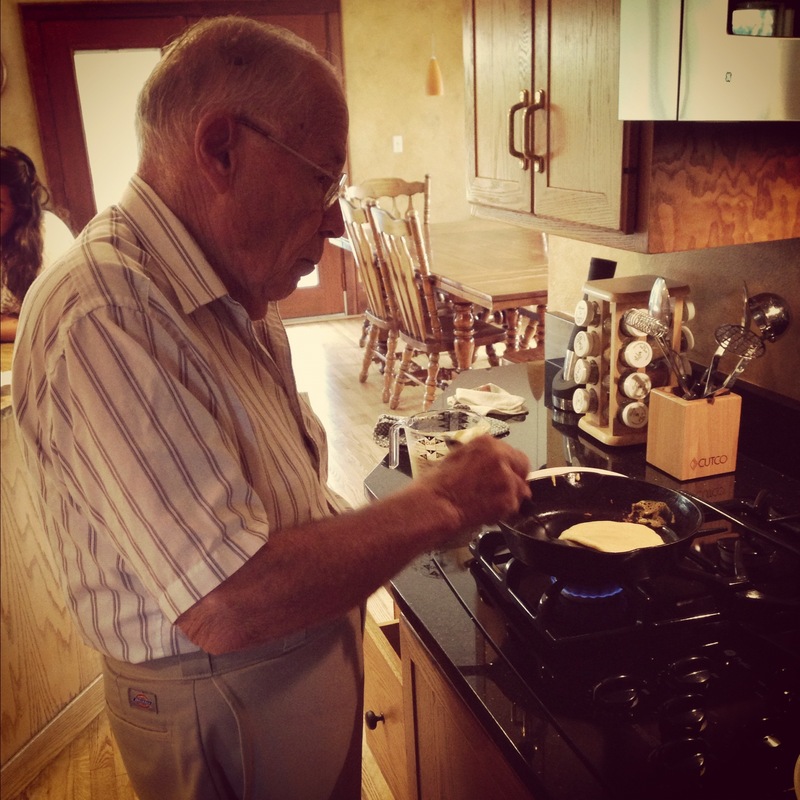 When I was home for the weekend in October, Grandpa came over on Sunday morning and make pancakes. It was a wonderful treat. 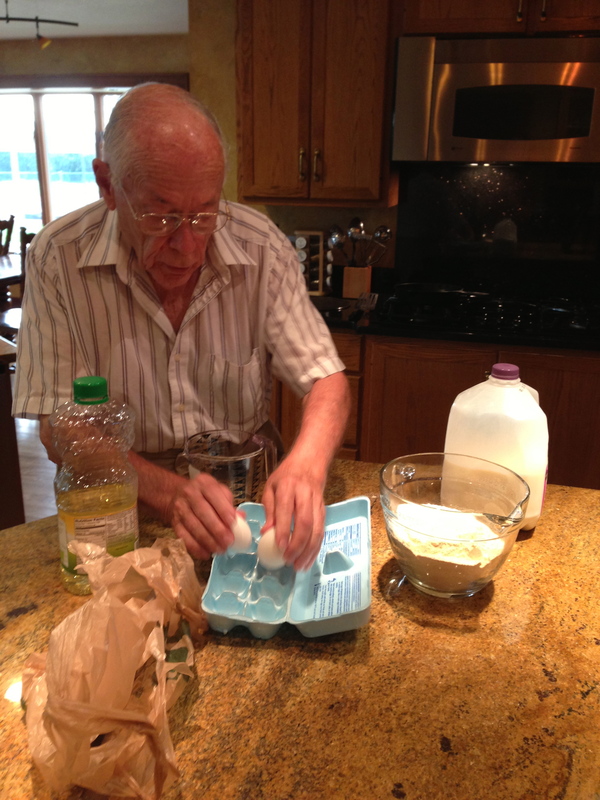 I don’t ever remember grandpa adhering strictly to a recipe. 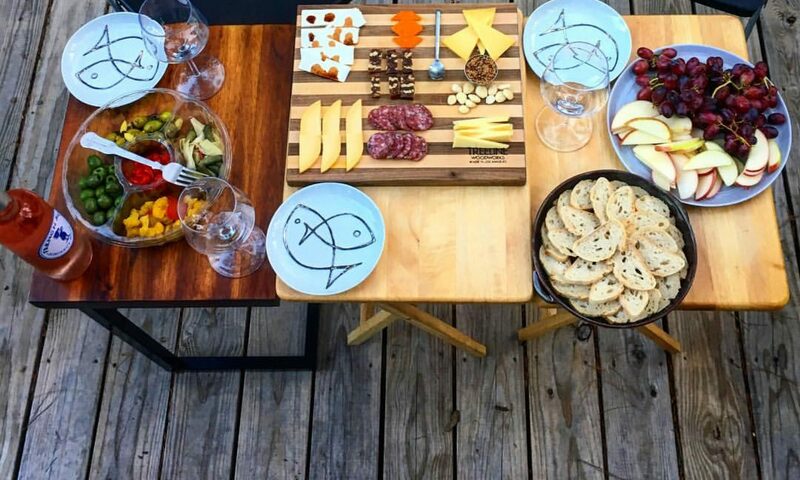 He does, however, have a secret ingredient – yellow corn meal. The other trick? 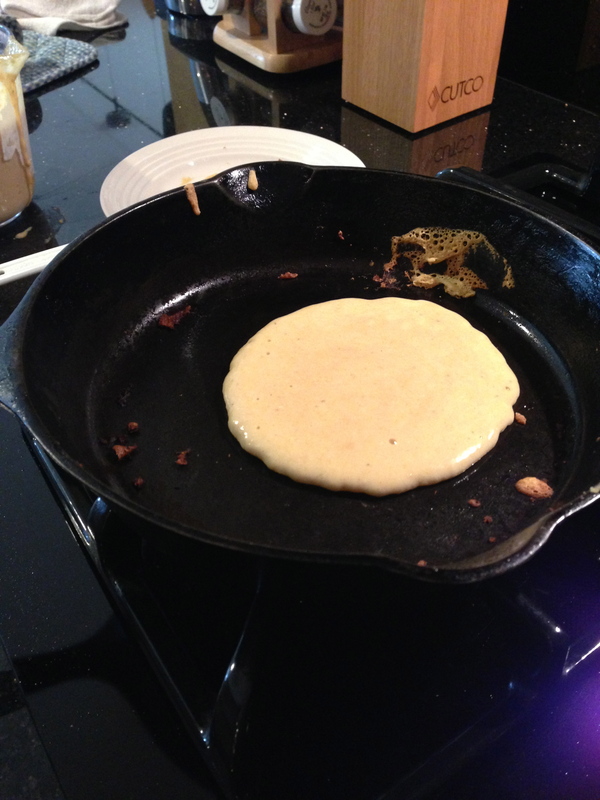 Cooking the pancakes in a hot, buttered cast iron skillet. These pancakes are perfect – not too sweet, perfectly fluffy, and with a great texture from the cornmeal. 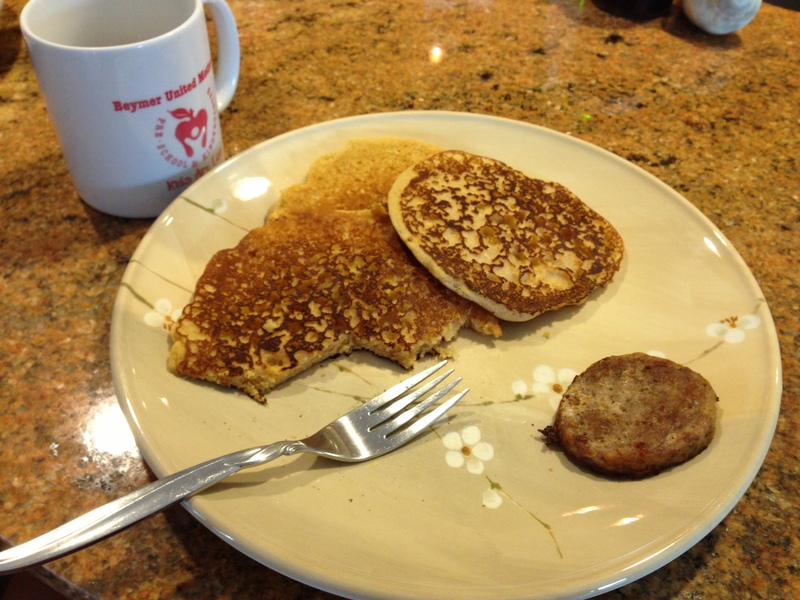 We served our pancakes with pure maple syrup and sausage made from the pig my grandpa bought at the Polk County 4H competition where he regularly serves as a judge. Classic Polk County. Quality delicious sausage. There is nothing I love more than making pancakes with Grandpa. I hope you will made these pancakes to share with someone you love. In a mixing bowl, combine the dry ingredients. In a large measuring cup, combine the wet ingredients. Slowly add the wet ingredients to the dry ingredients, making sure not to overmix. The batter should be pourable but not soupy. Ladle into a hot, greased skillet. 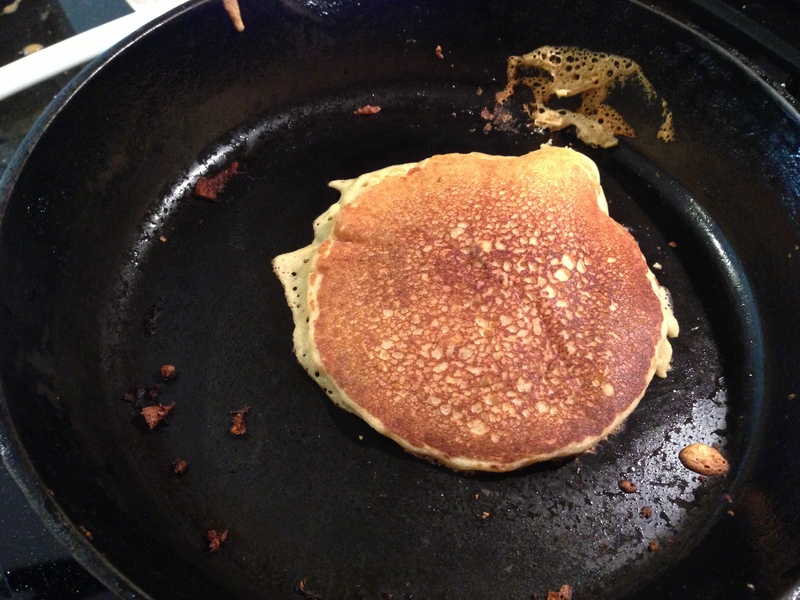 When bubbles appear on the surface, flip the pancake. Serve hot and delicious with syrup and a side of bacon or sausage.